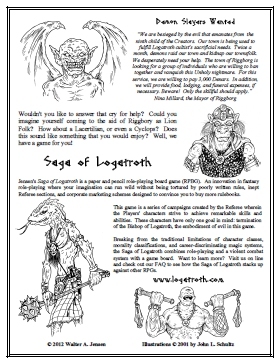 This character sheet may be reproduced provided it is used to play the 'Saga of Logatroth' and the intent of the reproduction is not for the purpose of personal and/or corporate profit. 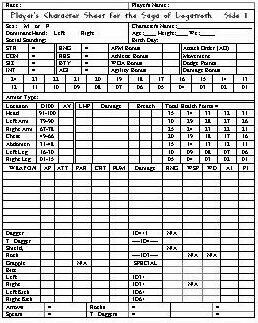 To download and print this character sheet, just click on it. 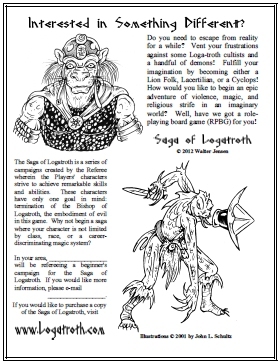 IF needed, here is a 'Call For Players' flyer and a Retail flyer.